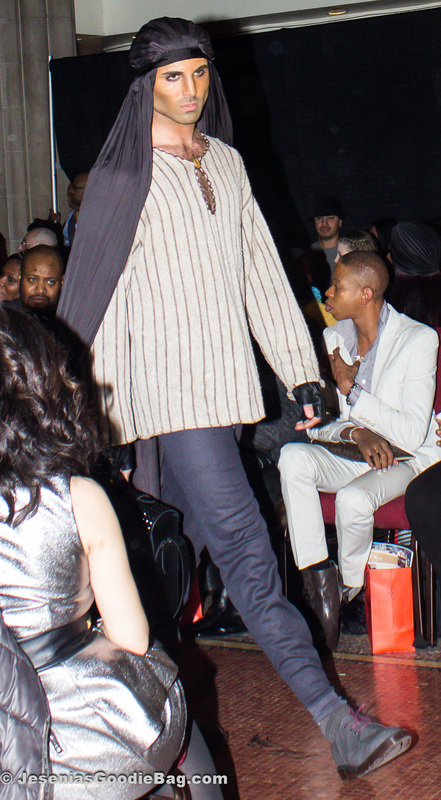 What can be said about Adrian Alicea that has not already been voiced from the front row of his fashion show? His metamorphosis collection unfolded with surprising twists and turns, generating climatic oohs and aahs, filled with lavish Victorian garbs, Dungeon inspired leather assembles and touches of Western Asia. Introductory pieces dawned on the catwalk; copper buckled wrap blouses with lengthened skirts. Cocktail-ready dresses in sequin, caged and lethally sheer. Sixteenth century Gothic beauty dresses and gowns lured the audience with beaded v-cuts, high slits, caftan, feathered trains, cloaking and puffing. Extreme added drama implemented with jeweled cuffs, gorgeous feathered headpieces, tulle face wrap and massive pointed beehive hairstyles. Provokingly sinful hooded dresses in cobalt and gun-smoke. Trenches and dresses in leather & jewel, paired with bawdy face hoods and iconic studded leather gloves. The mystical figure who once seduced fairy-princess Lili with a dance in the 1985 classic movie Legend reincarnates in this rich brown and purple metallic face mask and gown, fashioned with a rebel knotted stacked chain necklace and delicate satin gloves. Menswear put the chic in Sheikh, models in keffiyeh headdresses and headscarves, half-finger gloves, skinny trousers, long tunics and an emphasis of fur detail on blazer cuffs and weekend bags. Jeweled leather drifted discretely from Womenswear to Men’s. All of Adrian Alicea’s creations are made-to-order, handcrafted around the wearer’s measurements, from the highest quality of fabrics. 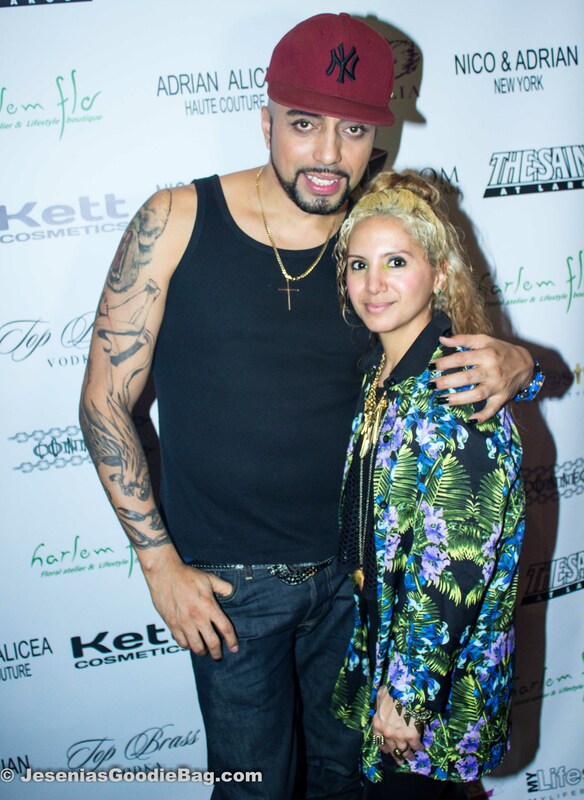 When a client wears Adrian Alicea Couture, they are making a statement without saying a word.